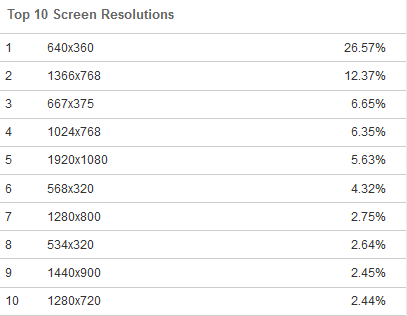 Below are data and source location for screen resolution size for websites. Purpose is for Developers to do screen size breakpoints for making website responsive to changes of size of their User’s devices. Reposition top 10 screen resolutions by type – Desktop, Laptop, Tablet, and Mobile devices. So design your website in Desktop screen of 1920 px, and do breakpoints as above for different screen sizes. Now go to your settings. If you’re using Themify: Dashboard > Your Theme > Themify Settings > Theme Settings > Set Responsive Design to max values (or your desired value). When is a good time to do software development if you’re a company?